If you follow me on social media – and you should – you know that I am a fierce advocate for mental wellness in general, but particularly in the workplace, which is where many of us spend the bulk of our time. Too many people are dealing with the physical and mental effects of stress and burnout while too many employers stay too focused on the work and not focused enough on the person. In addition to that, many people are living with a mental health condition that, while not necessarily making it impossible for them to work (at the moment) can impact them at work in various ways. Anxiety, depression, bipolar disorder, OCD, PTSD… all of these and more can affect someone’s work style, preferred working hours or environment, etc. Employers need to commit to understanding how various mental health conditions can impact their people AND how they can support people who are in the midst of a mental health crisis, may be at risk for one, or who may just need some minor accommodations to perform at their best. When the article came out, I was preparing to attend the WorkHuman Live conference so I didn’t pay too much attention to it. No one said anything to me about it so I kept it moving. I already had enough anxiety about traveling and having to be ‘ON’ for four days straight at a conference. But now I’m back and after four days of listening to practitioners and celebrities espouse the importance of humanity in the workplace and being your whole self, I’m ready to get back to this. So yes; I have Major Depressive Disorder. What does that mean for me? In part – Some days it’s a struggle to get out of bed, let alone go to work or socialize. I can become incredibly sad or be in a bad mood for no apparent reason. I can become overwhelmed by negative thoughts. I have severe insomnia. My motivation can lag at times. I have a tendency to procrastinate. These are some of the ways the disorder manifests for me but every person is different. None of this makes me any less amazing or effective as an HR professional but it does factor into who I am and therefore how I work and how I work best. And I’m not the only one. Not by a long shot. Many employers would easily understand why someone with cancer or even a broken leg might need support at work but are far less understanding when it comes to mental illnesses (or other invisible illnesses, but that’s a topic for another day.) To be fair, some of it is a lack of education. Mental illness is so stigmatized that no one wants to talk about it. So no one talks about it. I believe it is incumbent upon us as HR professionals to open up these conversations as part of building inclusive workplaces. Someone dealing with an anxiety disorder may find working in an open workspace overwhelming and thus it may take them a bit longer to finish projects. Someone who is frequently “late” to work could be dealing with depression so it takes them longer to get going in the morning. Someone dealing with OCD may take longer to leave the house. Someone with PTSD may be triggered in certain environments or situations. When you start viewing and treating people as human beings, not just cogs in the machine, you develop a better understanding of who they are and how you can best help them succeed. Don’t get me wrong. I’m not saying we need to deal with horrible attitudes or subpar performance on a constant basis. We still have work to do and some people are just jackasses or poor performers. It happens. What I AM saying is, we’re ALL dealing with something. It may be a mental health condition. It may be a physical health condition. It may be the loss of a loved one, a divorce, family problems, financial issues… We don’t shut off those parts of our life when we cross the threshold of the office. Know your people. Understand your people. Get educated on how to best support your people. And if support looks like telework or flexible work hours, change in desk location or some other fix that isn’t a hardship on the organization – DO IT. Do your best FOR your people so you can get the best FROM your people. If you are a Black person who regularly sees your people getting killed in the street by the folks who are supposed to ‘serve & protect’ us, or getting the police called on them for having the audacity to live & breathe, you’re gonna carry with you – into work – the fear that one day it might be you. If you are Latinx and see how committed the current administration is to deporting people who may be your family, or may be you, you’re gonna carry that with you – into work. If you are transgender and see that transgender individuals are being found dead, particularly transgender women of color, just because someone didn’t like or understand how that person identified, you’re gonna carry that with you – into work. If you are a person who lives in a crime ridden area and/or lives paycheck to paycheck, you’re gonna carry that fear of safety or instability with you – into work. The microaggressions members of marginalized groups often experience in the workplace also take a significant mental and emotional toll. Death by 1000 cuts. This is why intentional inclusion is so important. I’ve shared my moment of truth. What’s yours? Lately I have engaged in several conversations (online and IRL) surrounding race, racism, diversity and inclusion, as I’m sure many of you have, given today’s political and social climate. These conversations have been with friends, colleagues and fellow HR professionals. Thankfully I associate with some pretty intelligent, thoughtful, decent individuals who can discuss heated topics without becoming heated (passionate maybe, but not heated) and/or resorting to insults or name-calling. Thankfully. But for many, these types of conversations can often devolve into a free-for-all that becomes focused on the individual rather than on the topic. Or facts. During these conversations I’ve heard many stories of “true colors” being shown by folks people considered friends or at least decent associates. It seems this past presidential election and the current White House inhabitant have made vile and divisive words and actions against the “other” (race, gender, physical ability, sexuality, you name it) more acceptable and folks are feeling free to let their bigotry flag fly. Nowhere does that flag fly higher than online where folks develop superhero levels of courage from behind the keyboard. What does this say about us as a society? What does it mean for us in the workplace? 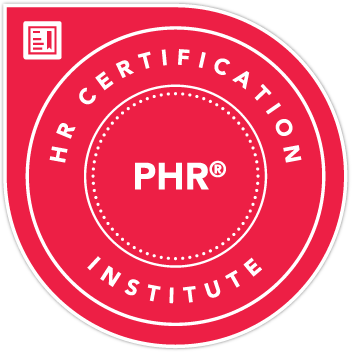 What does it mean for HR professionals? More pointedly, what impact do these beliefs, when held by HR professionals, have on the rest of us? If you’re a recruiter or hiring manager who believes black people are intellectually inferior, or that immigrants don’t deserve to be here, or that homosexuality is a sin, or that people with disabilities are somehow less than capable, or that women should stay home barefoot and pregnant, that has to affect your decisions in the workplace, right? How could it not? If you’re a speaker who speaks on HR topics at conferences, or a consultant, or write an HR blog, how do your views not seep into your work? And if they don’t what type of a psychopath are you? I jest. But, seriously. This topic is heavy on my mind. 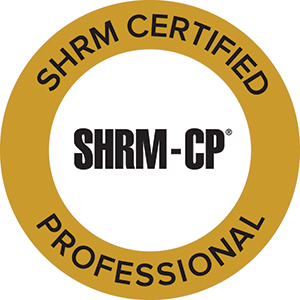 Not just because I’m headed to SHRM’s Diversity & Inclusion Conference next week (yay!) But also because I feel this pattern of hateful thoughts, beliefs and discourse will only get worse before it gets better. On a grand scale. However on a smaller scale, on the scale that is within my own little sphere of influence, I commit to do my part to make the world, the HR profession and the workplace a better place to be. For everyone. I’m far from perfect but I know I’m a good, decent person and I truly believe all of this starts from there. Decency, empathy, and compassion are the building blocks of humanity. The more we infuse those into HR, it will in turn have an impact on our workplaces (WorkHuman, anyone?) which are composed of individuals who are a part of the world community. It’s all connected. I know this was a bit of a ramble but thank you for making it this far. More to come! Beignets from Sunday brunch at Blake’s on Poydras. DELICIOUS! SHRM 2017 ended last week and I’m experiencing withdrawal. The people, the sessions, the music, the BEIGNETS! What’s not to love? If you missed it, you missed something big. Literally. It was the biggest SHRM conference ever! Between the concurrent sessions, the Smart Stage, the Take 10s and the General Sessions, you could soak up a wealth of information without even trying. I have a ton of takeaways from SHRM17. (I concur with Steve Browne’s statement that if you leave a session without any takeaways, it’s YOUR fault, not the speaker’s.) Some of my favorites are below. How many times have you encountered designated leaders who don’t trust the people they hire to do their jobs? You know who I’m talking about. The folks who want to micromanage their employees to death. Perhaps you are (gasp!) one of those people. If you are, stop it right now! That’s no way to inspire or motivate folks to be productive. Another great Bock statement: FREEDOM IS FREE. Meaning, it costs nothing for you to allow your employees the freedom and autonomy to be effective. Let’s face it – if you don’t trust the people you hire, that says way more about you than it says about them. CULTURE IS THE SUM OF WHAT YOU PERMIT AND WHAT YOU PROMOTE. Another way to think about culture. Steve Browne said this in his session as well. Consider the mic dropped. This comment on culture from Richard Fagerlin’s session, Creating a Culture of High Trust : 10 Things Every Organization Must Do to Experience High Trust was probably my most retweeted tweet from the conference. Obviously it resonates. We’ve all seen it. You have an organization that prides itself on its core values of <insert buzzwords of the moment> but in practice it’s a whole different story. They say they believe in diversity & inclusion, but the leadership team looks the same and thinks the same. They say they believe in innovation but new ideas are always shot down. They say harassment won’t be tolerated but a known harasser gets promoted because they are a high performer. They say they believe in work/life balance but pitch a fit if an employee has to leave early. I call shenanigans! Your culture isn’t what you say it is, it’s what it is. In her session, Influencing Others: 8 Steps to Get Results When You Don’t Have Direct Authority, Valerie Grubb spoke about how to influence others when you don’t have direct authority. Again, this really boiled down to trust. Trust and communication style. In order to influence someone when you don’t have authority over them i.e. when you can’t say “because I said so,” they have to trust you (see above) and you have to communicate concisely. Speak to the WHY of what you’re trying to accomplish and gain a reputation for getting to the point. This is something I really need to practice. I can get wordy at times. (Don’t say it. LOL. Just keep reading.) WHEN TRYING TO INFLUENCE SOMEONE THEY HAVE TO HEAR YOU FIRST. If they don’t trust you, chances are they aren’t listening. DON’T KEEP FOLLOWING THE RULES; CHANGE THEM! You probably guessed this quote came from Steve Browne without me having to say it. He has a bit of a reputation as a rule breaker. In a good way. Make that a GREAT way. Steve is so freakin’ inspirational and his passion for HR and people is contagious. I attended Steve’s Brand Name HR: Giving Your Function Life & Purpose session. He spoke a lot about pushing boundaries and not letting yourself (and your career) be confined to what HR is “supposed to do” or “should be doing.” We need to challenge the status quo and not be afraid to shake things up for the betterment of the folks we’re here to support. We can’t be afraid to bring our whole selves to work and we must encourage others to do the same. We spend too much time at work to have to shut off or hide major parts of ourselves during the workday. For example, I like to change my hair color a lot and I have visible tattoos. Neither of which impacts my ability to do my job. Get over it. This was just a small taste of my #SHRM17 experience. There’s no way I can cover it all in one blog post. However, I would be remiss if I didn’t mention how fabulous and fun it was to make IRL connections with the folks I know from #nextchat. (Not familiar? Get into it! Every Wed. 3pm EST on Twitter.) It was so great to put a human-sized face to a tiny Twitter avatar face and take our conversations offline. That was easily one of the best parts of the conference. BONUS ROUND: If you attended SHRM17, share your favorite part in the comments and/or reach out to me on Twitter @tmrasberry. How many times have you wanted to do something that would you enrich you either personally or professionally but repeatedly told yourself you couldn’t afford it? I know I’ve been in that place SEVERAL times. I look at my bills and my bank account and think “nope- can’t do it.” But if we don’t invest in ourselves, who will? 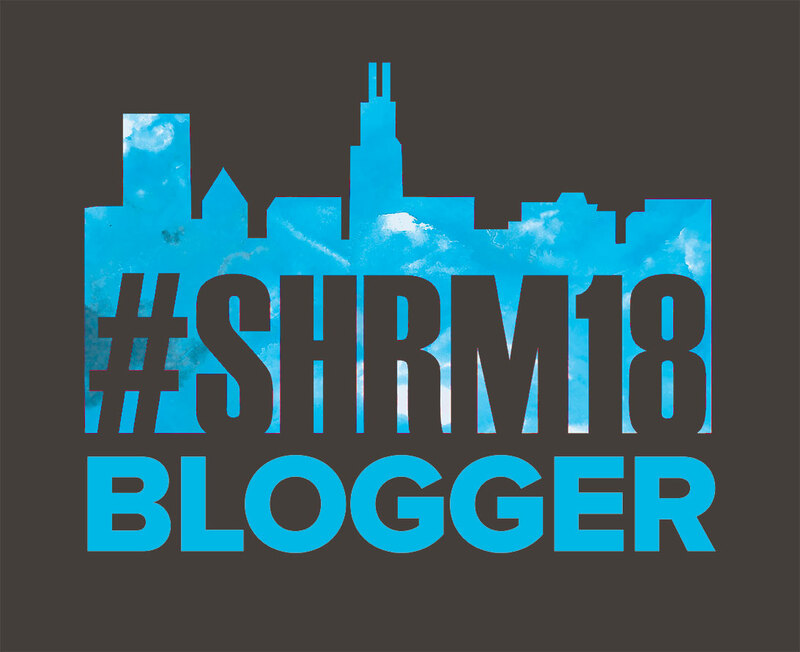 This year I am attending the annual SHRM conference (paid for completely out of my own pocket – registration, travel and housing) and the WorkHuman conference (thankfully one of my Twitter angels arranged for a free registration for this one so I’m only on the hook for travel & housing.) I SO envy folks whose employers truly invest in their professional development and send them to conferences, etc. I almost decided not to try to attend either conference because it really is a financial stretch for me, but it’s also important to me to learn and grow in my field and to network with my peers face-to-face. Now I may not be eating when I’m there (which will really hurt in NOLA 🙂 ) but I’ll be soaking up great info and meeting great people. I plan to use these experiences (and others) to enrich both myself and my organization. These investments will not go to waste! When was the last time you invested in yourself? If it’s been far too long ago, I implore you to look into something that will benefit you and figure out how to make it happen. Investment comes in more than one form. It can be money, time or energy (or some combination of each.) Whatever you decide to do, I guarantee you’ll be better off for it – even if it’s a struggle to make it happen.